BODYCOMBAT is a high intensity class that mixes different types of fighting styles to create an exercise that develops your strength and gives you an great cardio workout. 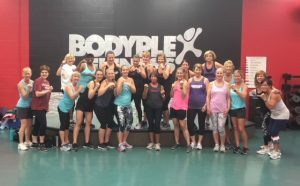 This group fitness class is inspired by Karate, boxing, Taekwondo, Tai Chi, and Muay Thai, making it a fun way to kick and punch your way to your fitness goal! BODYCOMBAT is meant to improve agility, speed, coordination, and work your legs, tone your arms, and is a great core workout. The BODYCOMBAT class consists of kicks, punches, jabs, shuffles, and many other fighting moves that work and tone your muscles, giving you a full body workout with small and precise movements. This class is also designed for anybody who is willing to try it! 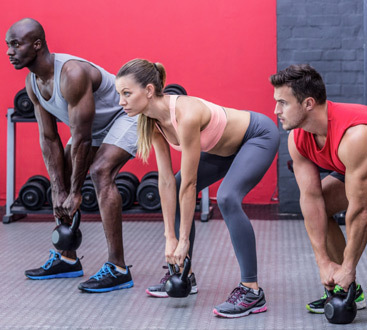 Movements and exercises can be done at a lower intensity so people fresh in the fitness scene can enjoy the workout at their own pace and work toward their goals slowly. This class involved only your body, meaning you don’t need any special equipment to succeed in this class. We recommend bringing a water bottle, comfortable clothing that allows you to move easily, and good athletic shoes. If you want to whisk away the sweat you will surely be sporting, you are always welcome to bring a towel. 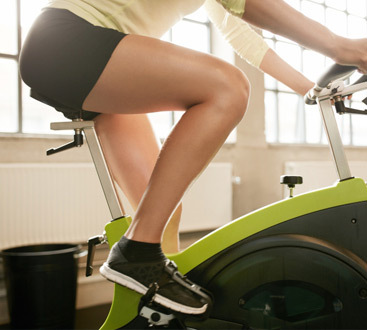 This class is very beneficial for your energy, muscles, and fitness level. BODYCOMBAT works your entire body, toning your muscles, improving your coordination, agility, and speed. This class is for anyone, with moves modified for different fitness levels, don’t be afraid to join in the fun if you are not in your best fitness shape, these classes are meant to help you get there!